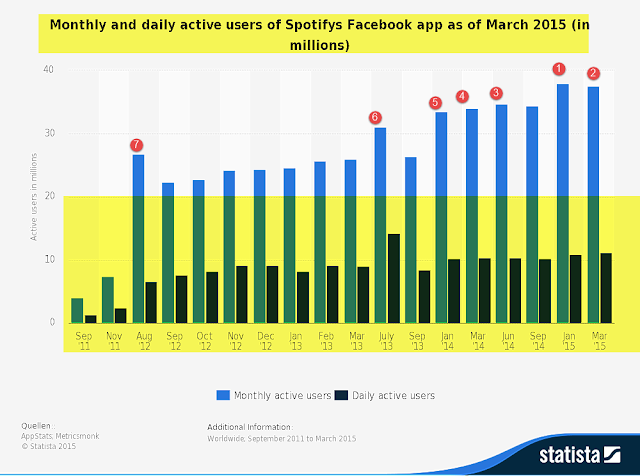 This chart from statista shows the monthly and daily users of Spotify's Facebook app usage since September 2011 to 2015. As of March 2015 spotify had 37.61 million monthly active users and 11.18 million daily active users on Facebook's platform ( for the month of march). This is in comparison to an average of around 20million monthly users who frequent the music streaming apps at facebook. 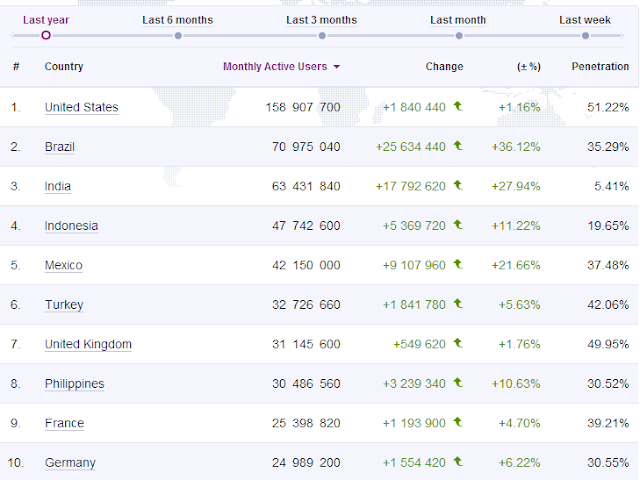 Spotify has been present at Facebook since September 2011 and in its first month had seen more than 3 million users. Not all links are created equal. The value of an inbound link, depends on a lot of factors.  1) the value ofthe page from where the link is offered 2) The number of links from the originating page. 3) The page rank of the page from the page 4) Whether is link is a 301 redirection or a 302 ( temporary redirection) 5) if the link has no follow or follow . 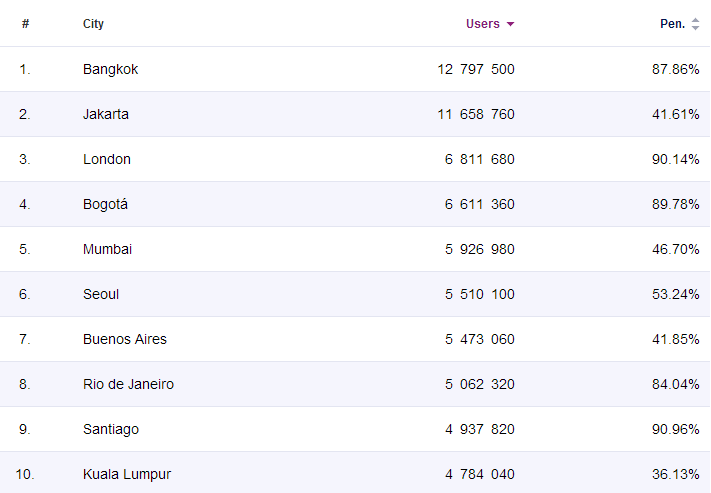 Data from January – October 2011, Home and Work Computers. 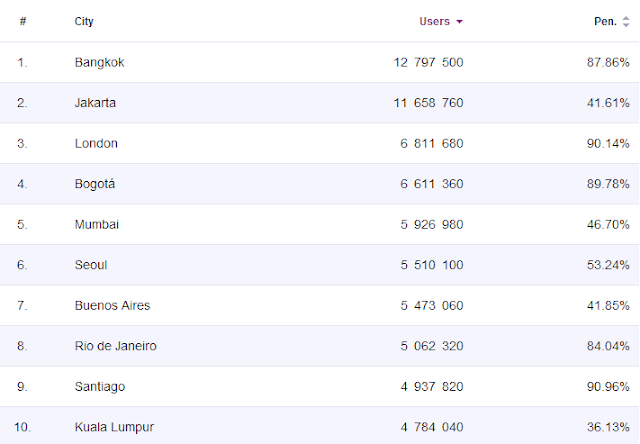 Ranked on average monthly unique audience. 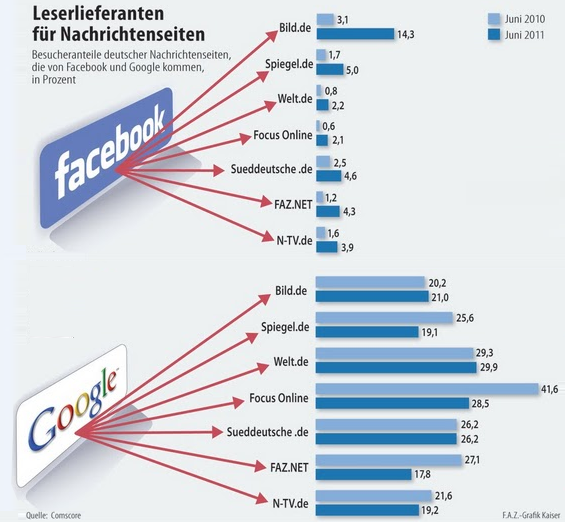 German Newspaper ‘Frankfurter Allgemeine Zeitung’ recently published an infographic showing year-over-year increase of incoming traffic to select Newspaper Sites via Facebook and Google in Germany. 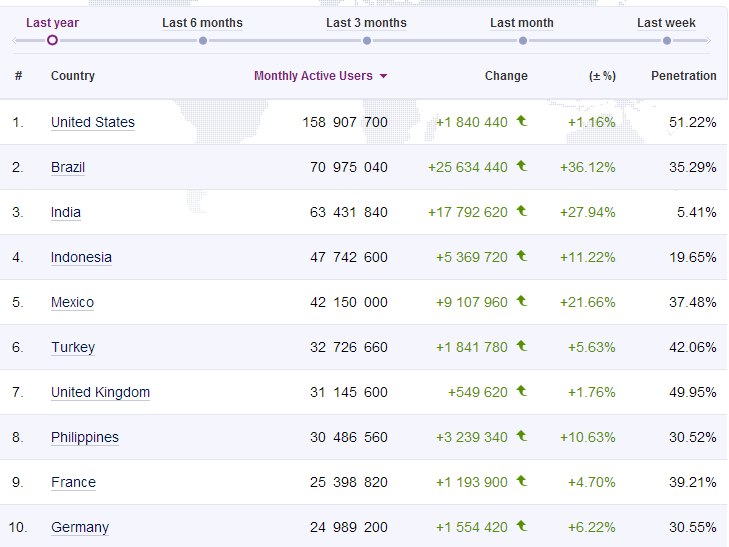 Across the board, all the newspaper sites saw an increase in the percentage of their traffic coming from Facebook. Bild.de saw 14.3 percent of its traffic come from Facebook, showing an 11.2-percentage point increase from the previous year, benefiting the most from the social networking site. In contrast, the newspaper sites saw varying levels of changes in the percentage of traffic coming from Google Sites. Welt.de, which had the highest percentage of traffic coming from Google Sites, saw nearly 30 percent of traffic coming in brought about by a slight 0.6-percentage point increase. Spiegel.de and FAZ.net, on the other hand, experienced declines. Amazon's Kindle business is about to contribute 10% of the company's overall revenue, says Citi analyst Mark Mahaney. Mahaney estimates Kindle unit sales for 2011 to be 17.5 million, which is $2.1 billion in revenue. He estimates eBook sales to be 314 million units, which is $1.7 billion. Combined that's 8% of Amazon's 2011 revenue. This means that the Kindle would grow " by 48% in 2012, which is a " staggering" achievement by any means. Last Month it was " announced that "Kindle E-Books are selling more than hardcover and paperback print books on Amazon, said the company in a statement yesterday. When a segment accounts for 10% of a business, Mahaney says it can affect the overall growth the company. 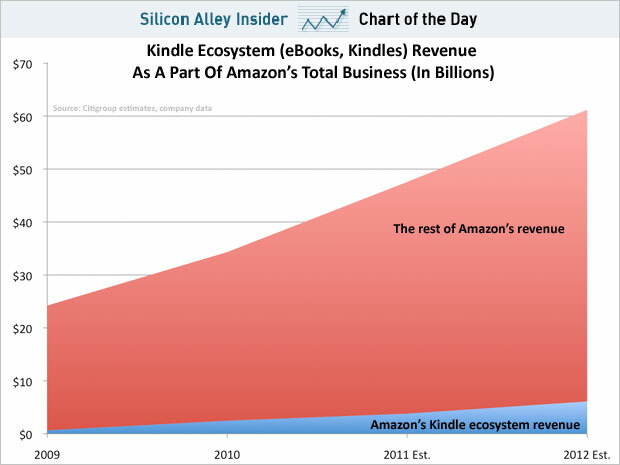 As Kindle continues to gain in popularity, we will see it start to really drive Amazon's growth.